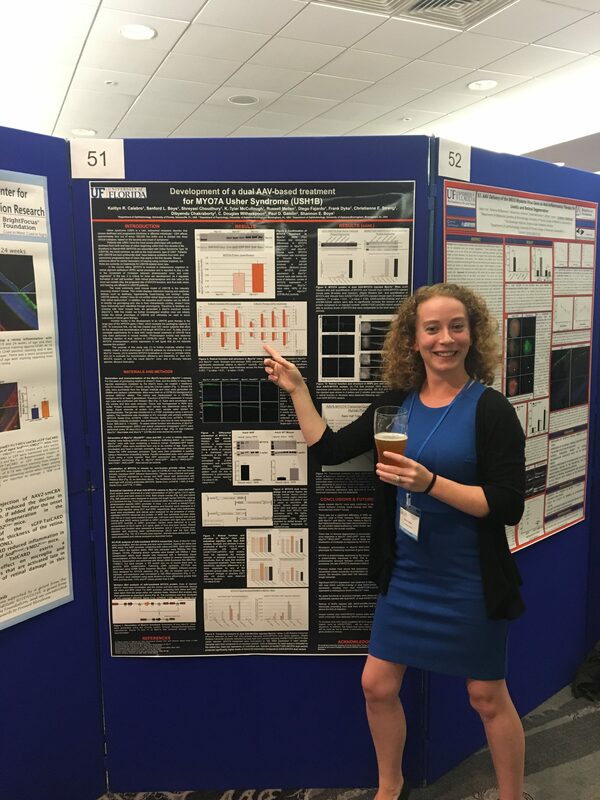 Doctoral candidate Kaitlyn Calabro had the pleasure of presenting her work this week at the Retinal Degeneration meeting in Ireland. She summarized her efforts to characterize a novel mouse model of Usher syndrome 1B and the effects of dual AAV-MYO7A vectors in these mice and in macaque. She fits right in to an Irish conference in this photo! Congrats Kait!